“Working in Wonder,” a group exhibition, curated by Erin Gray, Danielle Schallom, and Edward Stapley-Brown, will be on view at The Walsh Gallery at Seton Hall University from January 18 through February 11, 2011. “Working in Wonder” includes artwork in various media by artists that have been inspired by the Curiosity Cabinet, a historical era of collecting occurring between 1500 and 1700. 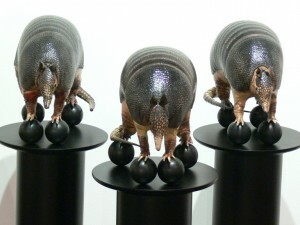 The exhibit explores the connection between man-made and natural objects or artificialia and naturalia. Participating artists include: Lasse Antonsen, Paul Baumann, Kathy Goodell, Tracy Heneberger, Heidi Jensen, Susan Napack, Roberto Osti, Lisa Perrin, Michael Sherwin, Paul Stout, David K. Thompson, Bill Westheimer and Kimberly Witham. “Working in Wonder is an excellent example of the art historical impact of the curiosity cabinet seen through the contemporary art on display,” explained curators Erin Gray, Danielle Schallom, and Edward Stapley-Brown. A full color catalogue will be available at the gallery. 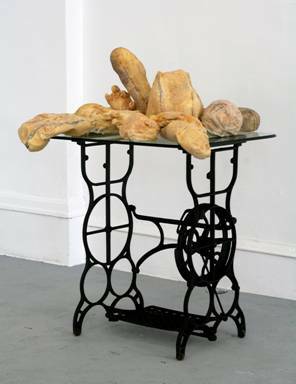 A symposium, Modern/Contemporary Art and the Curiosity Cabinet, will take place in conjunction with the exhibition. Lawrence Weschler, author of Mr. Wilson’s Cabinet of Wonder, will give a keynote speech on “ A Natural History of Wonder.” Other speakers will discuss topics such as Joseph Cornell, The Morbid Anatomy Library, and the work of Damien Hirst. The symposium will be held on the first floor of the Walsh Library in the Beck Room directly across from the Walsh Gallery. Please RSVP for the symposium by calling 973-761-7966 or emailing museumgrad@shu.edu. All events are free and open to the public. For 150 years, Seton Hall University has been a catalyst for leadership, developing the whole student, mind, heart, and spirit. Seton Hall combines the resources of a large university with the personal attention of a small liberal arts college. Its attractive suburban campus is only 14 miles by train, bus or car to New York City, with the wealth of employment, internship, cultural and entertainment opportunities the city offers. Seton Hall University is a Catholic university that embraces students of all races and religions, challenging each other to better the world with integrity, compassion, and a commitment to serving others. For more information, see www.shu.edu. 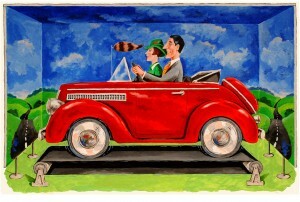 The Walsh Gallery is located on the campus of Seton Hall University, 400 South Orange Avenue, South Orange, NJ 07079. For more information call 973-275-2033 or jeanne.brasile@shu.edu. Gallery hours are Monday – Friday, 10:30am to 4:30pm. 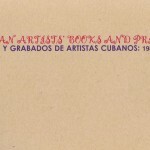 The Walsh Gallery, in collaboration with The Joseph A Unanue Latino Institute at Seton Hall University is proud to present “Cuban Artists’ Books and Prints: 1985 – 2008” a traveling exhibition on view October 18 to December 10, 2010. A related symposium will be held on November 11 at 5:30 p.m. at the Walsh Gallery. 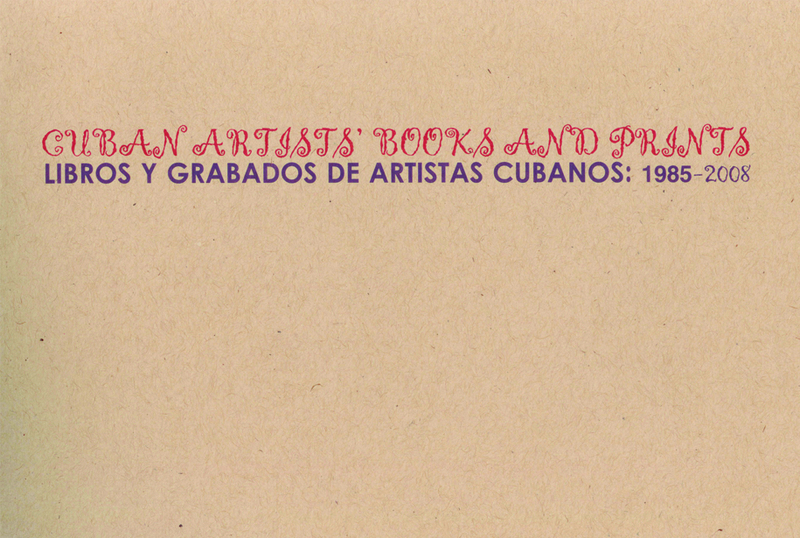 The exhibit, curated by Dr. Linda S. Howe and the Wake Forest University Cuba Project Collective, features more than 130 books and objects from thirteen Cuban painters, photographers, sculptors, printmakers, multimedia artists, writers, and the Vigía Press. Works on display are by Sandra Ramos, Yoan and Iván Capote, Aglutinador (Sandra Ceballos and René Bravo Quintana), Ibrahim Miranda, Carlos Estévez, Rene Peña, Rocío García, J.A. Vincench, Olympya Ortiz, Danilo Moreno, and Tonel (Antonio Eligio Fernández) and Ediciones Vigía (the bookmaking cooperative and press from Matanzas, Cuba). The Walsh Gallery Presents “Tracy Heneberger – Animal Plant Mineral"
Exhibition: 6/7 – 7/22/2010 | Opening Reception: 6/10, 5 p.m. to 9 p.m. The Walsh Gallery at Seton Hall University is hosting a solo exhibition highlighting wall sculpture by artist Tracy Heneberger. The show is a survey of three-dimensional art created by the artist over the past twelve years in various media including; bronze, wood, aluminum, stone and organic materials such as fish. Heneberger often uses iterations of materials that organize smaller parts into a well-ordered whole of line, pattern, color and shape. By combining natural elements in rhythmic ways, the end result is at once rich in detail, and yet elegantly simple.